These are notes from a lecture I gave today. 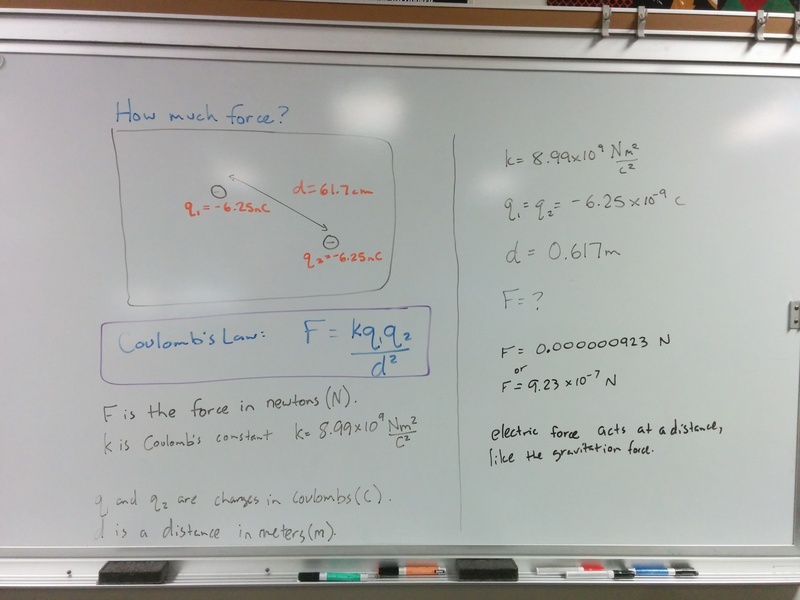 I’m not happy with the process at all and this is the one time all year when I wish I did forces first — knowing Newton’s Law of Universal Gravitation would make introducing Coulomb’s Law simpler. On the upside, the board is neat, sequential, and easy to follow. But then again, Veritasium has taught me that clear, concise, and easy to follow mean almost nothing for learning.